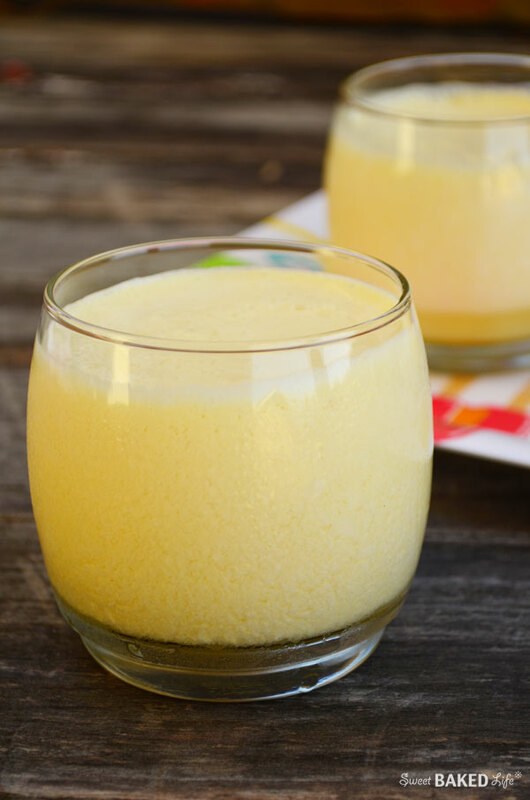 This frothy Copycat Orange Julius is so easy to make that you’ll never dish out money for this concoction at the mall again! You see, my husband and son love anything sweet – including what they drink! They are always picking up some sweet drink when they are out and about doing their “bonding”. They also have a favorite that they grab at the market — it’s a powdered packet of orange dust that you combine with water or milk and ice. I think it’s supposed to be like an Orange Julius, but it really isn’t! So when the weather reached 77 degrees last week, it really got us all in the mood for cool, refreshing things to eat and drink. Like smoothies, ice cream, and pretty much anything that is sweet and cold. Nothing like having spring in February! And of course, my “boys” were all over this — looking for something sweet and craving that favorite mall staple, Orange Julius. This got me thinking, hmmm…I wonder how I could make this delicious drink at home. With a quick Google search, I found just what I was looking for. And amazingly it included ingredients I already had at home; orange juice concentrate, milk, water, powdered sugar, vanilla and ice. I quickly put all the ingredients in my blender, gave it all a whirl, and in less than a minute, I had that frothy sweet orange drink. I gave it the taste test and let me tell you, it tasted exactly like the stuff you purchase (for a lot more money) at the mall. 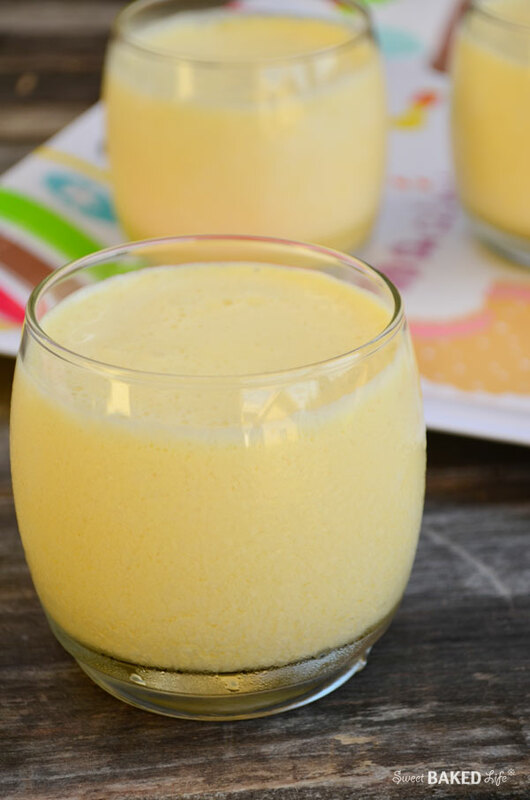 Get your blender ready to whip up this creamy Copycat Orange Julius — your family and your wallet will love you for it! Combine all ingredients in a blender and mix on high-speed until fully incorporated. Add more ice if you like a thicker consistency. 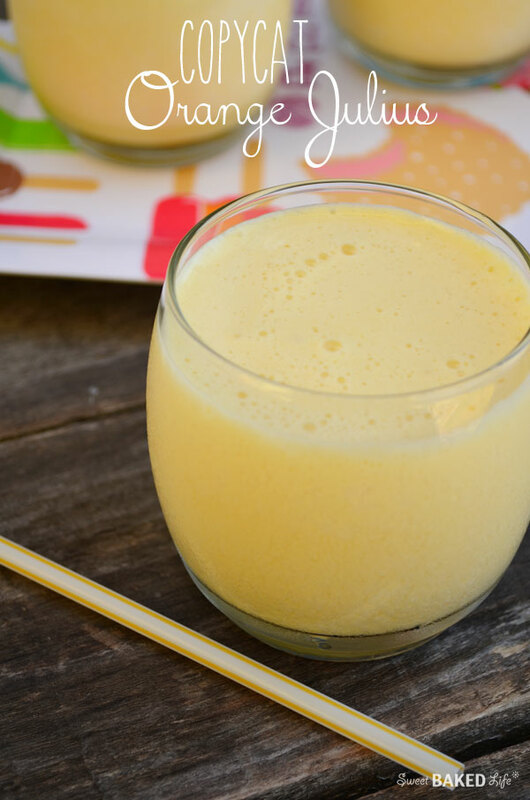 This delicious Copycat Orange Julius is the perfect drink to have any time of the day; great as a breakfast pick-me-up, and afternoon treat or even as an evening sweet after dinner. just want to gulp it down! You should make this mom, it’s so easy!! !